Many of us have moles. Though they are harmless, they can still make people conscious about their looks especially if these’re on the face. Ever heard of natural remedy to get rid of moles? Yes, there’s one. Check below how you can use tea tree oil to get rid of moles. • Take a bowl and add some undiluted tea tree oil in it. • Now, soak a small cotton swab in it. • Then, place the soaked cotton swab on the mole and fix it there using an adhesive tape. • Allow it to sit for a few hours. • After that, remove the cotton swab and wash off your skin with normal water. Use this remedy twice times in a day to get best results. • Take a Q-Tip and dip it in tea tree oil. • Now, apply it over the mole and allow the oil to dry. • Repeat the same twice a day. Note: Always make sure that your skin is clean before you apply tea tree oil over your mole. Further, the results of this remedy can vary from person to person. Why You Should Use Tea Tree Oil For Removal Of Moles? 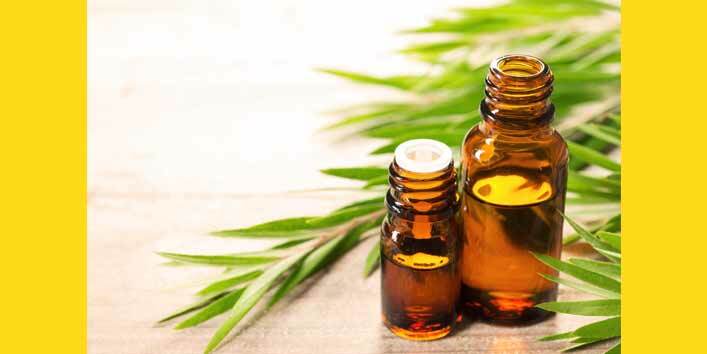 Even though there are not many studies on how effective tea tree oil is for removing the moles still, there are many people who claim using tea tree oil for the removal of moles is a risk-free treatment. Moreover, this oil can effectively treat the moles which don’t have deep roots. How Long Does It Take To Remove Mole Using This Technique? Well, it is completely dependent on the size of the mole and how deeply it is embedded. Moles which have shallow roots can be easily removed using tea tree oil. However, be patient as it is a natural remedy and you need to wait for a couple for weeks to see visible results. Further, you need to be consistent with the treatment to reap its utmost benefits. • Since it is an essential oil which is quite strong , it is suggested that you should not use its undiluted form on any other part of the body expect, the mole. • Do patch test before using the oil. • Avoid scratching and plucking the mole. • Once a mole falls, protect it from sun damage and keep it covered for at least for 6 weeks. And if you guys also know some effective and easy remedies to remove moles then, don’t forget to share it with us.